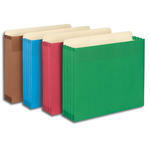 Get a grip on heavy files with Smead Easy Grip. 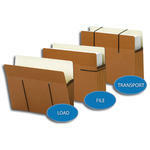 Easy Grip® Pockets are designed with a special "grip strip" to provide twice as much grip as a standard pocket. 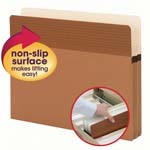 They require less gripping force and strain to pick up out of drawers or to pull off shelves. Easy Grip Pockets come in a variety of styles and handy sizes. Click to learn more.